It’s time again for a new version of iOS for iPhone and iPad and a bunch of news about mobile web development. I’ve analyzed every new feature I could found in Safari on iOS5, including what’s the final resolution with expected features as WebGL (3d) on Safari. As always, Apple is not giving us any useful information for its browser. Just to mention an example: in its change-log Apple only mentions that the new range input type is supported, while there are other new input types supported and not mentioned there. That’s why this post was done after a couple of hours researching over the new browser. There are also some new features on iOS 5 that are out of developers’ hands. So let’s first talk about bad news. There is a new notification center on iOS 5 that allows native applications to notify the user using Push notification and Local notification mechanism. There is no way to participate in this notification area from Safari or a home screen webapp. Of course, we can use a hybrid or a PhoneGap HTML5 application to do so. Siri on iPhone 4S. This Star Trek-like voice assistant available on iPhone 4S uses the web as its source of information. However, there is no API or way today to communicate with Siri from our website to provide content or help it with our site. Twitter integration. The new iOS includes a Twitter integration inside the core of the operating system. However, there is no public API to access this Twitter registration information from our web application. That means that if the user is already logged in on Twitter using his device, it should log in again on our website with the classic Twitter web authorization API. Of course, we can still use the Twitter URI schemes if the application is installed to open the native Twitter client. Safari on iOS still doesn’t render anything special on the new elements progress, meter, detail and summary. If your web content is well and semantically designed, the new reader mode will be activated and your content will be converted into a “article mode” view if the user presses the reader button on the URL bar. There is no API or attributes to manage or customize reader mode. Create a good mobile web experience and your user will never use the reader mode :). iOS 5 supports new form rich controls using the input element, supporting range (rendered as a nice touch slider) and most date/time controls using date, time, datetime, month and datetime-local. From the HTML5 standard, color and week selector are still unsupported being rendered as plain text inputs. Datalist is still unsupported. This new attribute, global to all the HTML5 elements, allows us to convert any HTML element into an editable one. That means that now a user can edit a list (ul element) or even we can create rich editors for iOS using contenteditable and execCommand. On my quick tests most visual rich editors for HTML are working properly on iOS5. Some of them are not optimized for touch, but in functionality, you can change formats and styles without any problem. Now we can change the URL without refreshing the page (and without using #) with this new API inside HTML5 standard. It exposes some new methods over the history object, such as pushState. Now it is hardware-accelerated as in Internet Explorer 9, so the performance is much more faster. CanvasPattern is now supported. The iOS 5 Simulator for Mac now includes the ability to simulate different locations using latitude/longitude. The markup language for math expressions is now available on iOS, so we can use the new math element in HTML and provide a MathML document inside. However, not every math special character is rendering propertly as I could check, such as Sum and big parentheses. XHR 2 is now supported but to be honest, it’s absolutely useless as file uploads and File API are disabled in Safari on iOS. The great advantage of XHR 2, the progress upload mechanism, is not allowed. Now it can be cleaned by the user in Settings > Safari at the same time as cookies. The other new thing to keep in mind is that now a Private Browsing mode exists and we will receive exceptions if we try to use any offline API, such as LocalStorage, inside this mode. Keep in mind that you should catch this exceptions. Compass support is available in the devicemotion event through new attributes: webkitCompassHeading and webkitCompassAccuracy. There is also a new event we can subscribe to: compassneedscalibration. This will work only on iPad 2, iPhone 4, 4S and iPod touch last generation. Some CSS3 features were enhanced, such as support for :first-letter pseudo-element to have a different style for the first letter of a paragraph. Also text-rendering: optimizeLegibility; is now improving handling of kerning pairs and ligatures on typography. Now, WOFF (Web Open Font Format) is supported for CSS3 Web Fonts. Async scripts are now available using the async attribute. With asynchronic external script references, the script will be loaded without interfering with other resouces’ downloads. It’s also available the defer attribute that allows the browser to defer the script execution until onload executes first. Now, an iframe can have different security implementations regarding the sandbox attribute as defined in this spec. We still don’t have WebGL (3d canvas) even after demonstrating that WebGL is definitely there. It is deactivated and the rumor says that it’s there only for iAds usage inside a native app. We still don’t have IndexedDB, so Web SQL is the way to continue working with databases. And File Uploads or Camera APIs are also unsupported. Keep in mind that when using position: fixed and a scalable viewport (or no viewport definition at all), the fixed zone zooms in/out as the viewport and it’s not really fixed as we could expect. BTW, if you have a desktop website (not mobile-optimized) and fixed zones, you have a big problem! The fixed zones will create useless experiences when the user zooms in. Before iOS 5 any scrolling zone, such as an element with overflow: scroll or an iframe had usability problems. That is because the user needs to use a two-finger scrolling gesture to scroll inside smaller areas in a page. Now this problem has ended, as now every inner scrolling area will be scrolled using only one finger. And a new CSS extended attribute allows us to define what kinds of scrolling do we want: -webkit-overflow-scrolling that can accept auto (standard “desktop-like” scroll) or touch (with momentum, like native iOS applications or even like the page scroll momentum). If the browsers needs memory can release our page (even being already on an open tab) and when the user activates, the page will be reloaded. We can use sessionStorage to store information for this case. There is an excellent coverage of performance on iOS5 on Blaze.io blog, so I will not get deeper in this topc. Performance on HTML5 is really improved, as well as some HTTP techniques for loading pages faster. After my testing I can now conclude that Nitro engine is now available on Home Screen apps and it’s still out of UIWebView (PhoneGap-like apps and pseudo-browsers such as SkyFire). iOS 5 is in the line of HTML5 evolution but it still owe us some new features that are being added in other mobile browsers, such as WebGL, HTML Media Capture API, Device Network Information API and maybe a remote web inspector. However, Safari on iOS is still the leader in terms of mobile browsers and it’s still the most important browser today to look at when developing mobile web experiences. However, be responsible and don’t create applications and websites that only works on Safari or WebKit. What do you think? Are you happy with the new changes? Were you expecting more? Did you find anything else new? Feel free to use the comment area! A great summary. Many thanks. I think you have put webSockets where you mean web workers in the overview paragraph. No? You are right Swervo, it’s web workers (updated now!). It was a hard week ;) Thanks! Anyone have thoughts on why it’s STILL impossible to use ? The browser clearly understands the element, yet it’s permanently disabled in Safari… why is that? Mark, the tag was missing, but it’s probable input type=”file” what you are talking about? Ah yes, didn’t notice the HTML got filtered out :) But yeah, file uploads is what I’m talking about. Awesome roundup of whats new in iOS5, some overlap with my “iOS5 for Web Developers” post. Has anyone been able to get iframes to scroll in iOS 5? I stil can’t get it to work. I am new of this website, I wonder if there is any technical comparison, ideally from developers point of view, between the latest IOS, Windows phone and Android releases. btw, there’s one error in your list – the HTML5 History API is supported since iOS 4. Are you talking about the full HTML5 History API or just haschange event? – Are you talking about the full HTML5 History API or just haschange event? yes, the full History API was available since iOS4, hashchange at least since iOS 3. 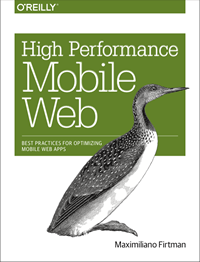 Thoughts, researchs and samples about mobile web by Maximiliano Firtman, speaker, trainer and author of O'Reilly books Programming the Mobile Web and High Performance Mobile Web.